Big Dog Demolition performed the complete demolition of the Tyco Healthcare Bridge in Marietta, GA. 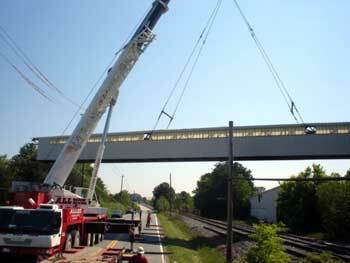 The 322-foot Bridge was safely dismantled in one day over a busy two-lane highway and working railroad line. All of the concrete and steel from the project was recycled.